Time until Enemy Engaged: Apache vs Havoc release day! 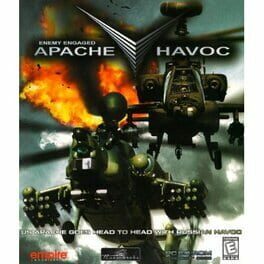 Enemy Engaged: Apache vs Havoc is a helicopter flight simulator game by Razorworks. It was followed by Enemy Engaged: Comanche vs Hokum, which was interconnectable with Apache vs Havoc. It also has a sequel called Enemy Engaged 2. The game features two fully simulated combat helicopter: the US AH64D Apache Longbow and Russian Mil-28N Havoc B.